When it comes to the Honda Civic, style is always a strong suit. From the sophisticated sedan to the race-inspired Type R, Honda’s design concepts are ahead of their time to say the least. 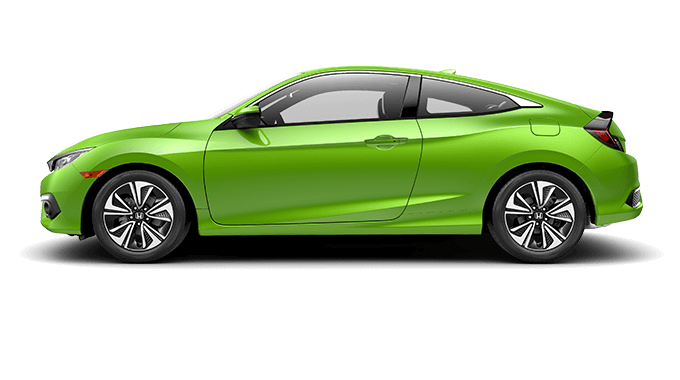 The same can definitely be said for the 2018 Civic Coupe, which retains all of the advantages that Central Missouri car shoppers have come to expect from the Civic badge, molded into a sporty two-door package. 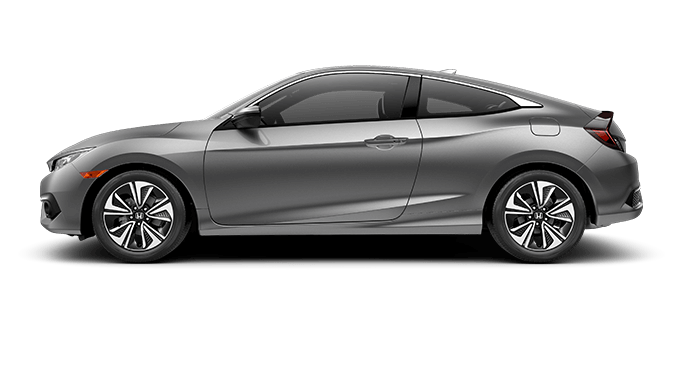 From the inside out, the 2018 Honda Civic Coupe is fully customizable with five different trim levels, various cloth/leather interior combinations, and multiple powertrains. The standard-equipped engine is a spirited, 158-horsepower in-line-4. For elevated performance, the available turbocharged option is capable of 174-horsepower and over 160 lb-ft of torque. Exceptional fuel efficiency comes in the form of either a 6-speed manual or continuously variable transmission (CVT)—both smooth shifting and fun to drive. Take corners with confidence thanks to intelligent engineering such as front and rear stabilizer bars, Electric Power-Assisted Rack-and-Pinion Steering (EPS), and a sophisticated suspension consisting of a MacPherson strut front and multi-link rear. Once inside, drivers and passengers alike will be pleased to find out the Civic Coupe doesn’t sacrifice spaciousness for a sporty appearance like some of its other two-door competitors. With seating for up to five, 35.9 inches of rear legroom, 12.1 cubic feet of trunk space, and center console storage big enough to fit a tablet, the Civic gets everyone where they need to be going in stylish comfort. When your day demands more cargo area, take advantage of the 60/40 folding rear seatbacks for numerous interior configurations and added versatility. 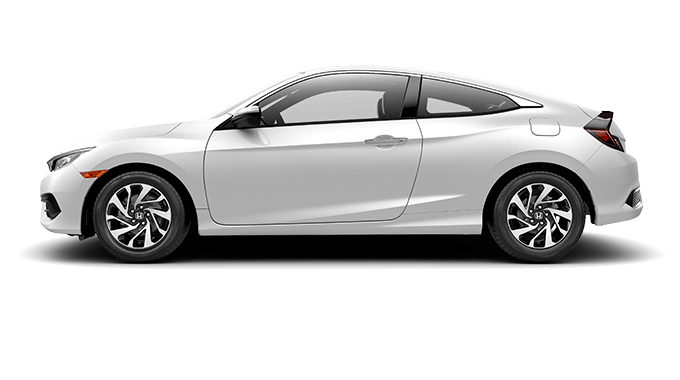 Like any Honda vehicle, the Civic Coupe boasts a tech-rich cabin with features that promote everything from entertainment to safety. Bluetooth HandsFreeLink and audio streaming come standard, while Apple CarPlay and Android Auto, SMS text message functionality, and the HondaLink app are available to take smartphone integration to the next level—providing you with music sources, navigation, diagnostic information, and much more. 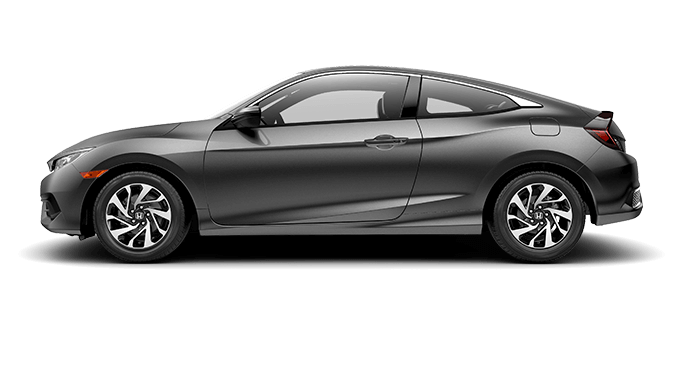 To outfit your Civic Coupe with the latest in driver assistive technology, the Touring model includes Adaptive Cruise Control, Forward Collision Warning, a Collision Mitigation Braking System, Lane Departure Warning, and Road Departure Mitigation. 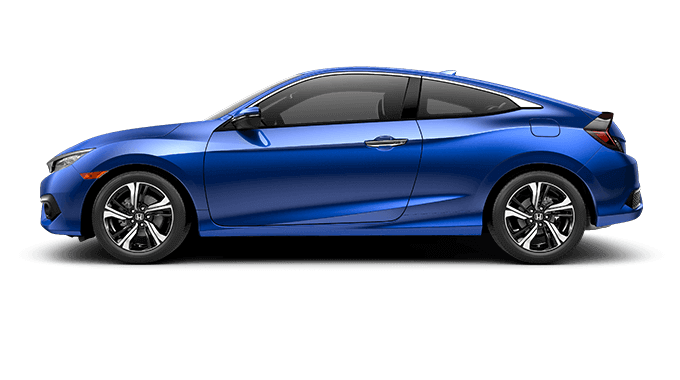 The 2018 Civic Coupe is a two-door that refuses to compromise for the sake of style, but the only way to realize its full potential is with a test drive from any Mid-Missouri Honda Dealers location.